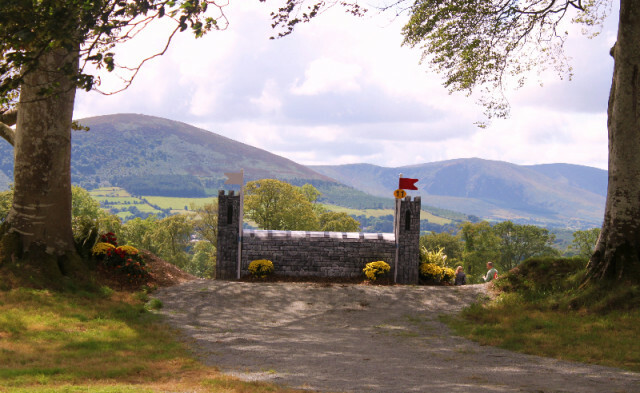 Millstreet CCI3* in Ireland will be a new targeted event for Team USA in 2016. Photo by Marianne Van Pelt. David O’Connor outlined his proposed 2016 plan for the U.S. eventing team as we look ahead to the 2016 Olympic Games in Rio de Janeiro in today’s session for the High Performance riders at the 2015 USEA Annual Meeting & Convention in Washington, D.C. The proposed plan is still pending approval by the USEF Eventing High Performance Committee, which meets later this afternoon. If the committee approves the plan, Team USA will look to target the following overseas events next year: Tattersalls (but only as a back-up CCI3*), Bramham, Aachen, Millstreet, Burghley, Blenheim and Boekelo. Tattersalls, which is usually held at the end of May, had originally been tapped as a key targeted event for Team USA in 2016, but that’s changed with it falling a week later on June 2-5 next season. David is now seeing Tattersalls as more of a back-up option due to the later date, which places the event just nine weeks before the Olympics. Bramham is another event that Team USA has been targeting more in recent years, but it’s likely not going to have as much emphasis next year due to the fact that it falls on the same week as Bromont (June 8-12). It does still appear on David’s proposed plan for 2016 and is one of the final U.S. selection trials for the Olympics. Aachen CICO is back to its usual spot on the calendar and will be held on July 14 and 15 next year. That’s a week after the inaugural U.S. Nations Cup leg at Great Meadow, which will serve as a mandatory outing for the riders that are named to the U.S. Olympic team. The show jumping for eventing at Aachen was held in a smaller grass field this year due to the event running concurrently with the FEI European Championships in other disciplines, but the show jumping will be back in the impressive main stadium next year. David is proposing that the team use Millstreet’s new CCI3* as a developing trip for less experienced overseas competitors. The event is held in Ireland and scheduled for August 24-28 next year. Mike Etherington-Smith has built a top-notch cross country course there; click here to read comments from him in a Millstreet feature we ran earlier in the year. Burghley, Blenheim and Boekelo are all events where we regularly see U.S. riders compete, and we’ll see Team USA at these competitions once again in 2016. You’ll notice that Pau is not on the plan for targeted events; since it falls on the same weekend as Fair Hill next year, it won’t be a focus for the team. The U.S. team will be named June 20. The mandatory outing for the team will take place at Great Meadow on July 9 and 10. The horses will ship out of Miami on July 28 or 29. The U.S. team will stay in the Olympic Village in order to keep them in a competitive, focused atmosphere. The track where Pierre Michelet is building the Rio cross country course has minimal terrain, with just one hill at the beginning of the course. The course has about 20 turns, two of which are hairpin turns. “It’s a straight-up Michelet way of going — a handy, nippy course,” David said.